These wines are in stock at Forsyth - hidden in the back room. This does not include the great wines we have on the shelf. Moving on to the vineyard designated Syrahs and a fantastic vintage for this cuvee, which goes back to the 2005, 2006 and 2007 levels of richness, the 2009 Syrah Reva (100% Syrah aged 42-months in French oak) offers up more fruit and purity than normal, with only hints of its normal iodine/seaweed tinged profile. Loaded with sweet black raspberry, cassis, wild herbs, flowers and subtle blood and iodine qualities, it is a full-bodied, decadent Syrah that has incredible mid-palate depth, beautiful freshness and a blockbuster finish. It will continue to gain in depth and richness with short-term cellaring and have an easy 12-15 years or ultimate longevity. Drink 2015-2024. This fine Grand Cru is from a Forey-owned parcel of three-tenths of a hectare. The precise site is in the climats of “Les Treux” and “Clos Saint Denis” which generally are geographically between “Les Suchots” and “Les Grands Echezeaux”. One third of the vines were planted in 1949 with the rest being planted in two waves: 1974 and again in 2004. Forey works a one-third hectare parcel in the northern part of the Montiotes Basses section of the Clos. One part of the vines were planted in 1968 and another part in 1972. Forey’s version of this appellation is particularly sturdy. "Don't Miss! A discreet application of wood does not reduce the considerable appeal of the ripe, pure and airy nose with its broad mélange of wild red berry fruit liqueur, earth, spice, violets and a hint of animale. The broad-shouldered flavors possess superb mid-palate concentration that enrobes the buried but still quite firm tannins while culminating in a beautifully balanced, muscular and explosively long finish. This is also very clearly built to age yet like the Clos St. Denis, there is so much sap that this could be drunk now with pleasure. A 'wow' wine." "Don't miss! ...A brooding and inexpressive nose of both red and dark berry fruit evidences discreet liqueur-like nuances as well. The impressively scaled and palate coating flavors coat the mouth with dry extract and possess imposing size and weight before culminating in a firm, austere and beautifully persistent finish. This is not for the faint-hearted as it's a big Chapelle and clearly intended to be cellared for the long haul as this is also not going to drink especially well young." The Tremblay 2005 Chapelle-Chambertin puts forward a nose of red raspberry, cassis, cinnamon, and charred beef. With refined tannin and a polished mouth feel, this presents a “cool,” sorbet-like expression of raspberry and black currant, underlain by persistent chalkiness and deep meatiness. Finishing with remarkable purity, refinement and elegance (not to mention sheer length) the wine betrays no sign of its having been bottled only two weeks ago. Tasting note: A ripe and wonderfully elegant nose that is quite dense revolves around layered red berry fruit aromas nuanced by a cascade of floral, earth, smoke, meat and spice hints that is followed by generous yet detailed broad-shouldered flavors that curiously manage to be both tender and firm on the classy, long and energetic finish. This will need up to 20 years to reach its full potential so this definitely will not be an early drinker. Things go up a notch or two with the 2010 Bienvenues-Batard-Montrachet, which appears to hover on the palate with the grace of a ballerina. The Bienvenues is all about weightless elegance and implied structure, but it is all there in the glass. At times a bit intellectual, the Bienvenues is nevertheless immensely appealing. Layers of soft, perfumed fruit flow effortlessly to the nuanced, feminine finish. A hint of floral honey and almonds lingers on the palate. I can’t wait to see how this ages. Anticipated maturity: 2020+. A candidate for the wine of the vintage, the 2009 La Mission-Haut-Brion stood out as one of the most exceptional young wines I had ever tasted from barrel, and its greatness has been confirmed in the bottle. A remarkable effort from the Dillon family, this is another large-scaled La Mission that tips the scales at 15% alcohol. A blend of equal parts Cabernet Sauvignon and Merlot (47% of each) and the rest Cabernet Franc, it exhibits an opaque purple color as well as a magnificent bouquet of truffles, scorched earth, blackberry and blueberry liqueur, subtle smoke and spring flowers. The wine’s remarkable concentration offers up an unctuous/viscous texture, a skyscraper-like mouthfeel, sweet, sumptuous, nearly over-the-top flavors and massive density. Perhaps a once-in-a-lifetime La Mission-Haut-Brion, the 2009 will take its place alongside the many great wines made here since the early 1920s. "Once in a generation, conditions conspire to create the grandest wine from the Vouvray appellation: Philippe Foreau’s “Goutte d’Or”, which in 2011 marks its third release in the entirety of the estate’s history (the previous two were 1947 and 1990). The wine is a tour de force, boasting 230 grams of residual sugar as a result of roughly 70% of the grapes enduring the effects of botrytis. 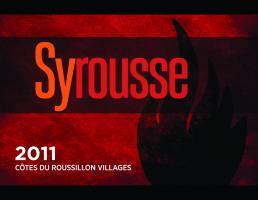 On the palate, an impressive density delivers notes of apricot, straw, fig and kirsch, yet it carries only 9.5% alcohol. Harvest took place on the 10th of October and the total production was 2400 bottles. Philippe expects the wine to evolve over the course of the next 100 years, so this is a bottle for the deepest part of the cellar." Comprising a virtually berry-by-berry selection of perfectly botrytized fruit from each of the domaine’s three sites, the Huet 2005 Vouvray Cuvee Constance will be virtually ageless. Quince jelly, marzipan, lemon candy, heliotrope, and honey levitate from the glass, in anticipation of the startling elegance, lift, and lightness of touch that this elixir exhibits on the palate, for all of its intensely honeyed richness. Fresh grapefruit and lemon leaven the wine and balance its 137 grams residual sugar, and the finish is astonishingly fresh and juicy, yet displays confectionary (marzipan, vanilla creme) and patisserie (buttered pastry with quince filling) sides as well. Anyone hoping to net and pin down in words this splendid butterfly of a wine will fail, but if you do pin down a bottle, let it soar across the next several decades. Always more dense, backward and focused, the 2011 Ermitage L’Ermite Blanc has everything I could want out of a white. Flower oil, apricot, honeysuckle, brioche, powdered rock and assorted tropical notes are just some of the nuances here, and this incredible wine is full-bodied and massive, yet elegant, fresh and delineated. Count yourself lucky if you’re able to latch onto a couple of these! The 2011 Pingus has a gorgeous, pure black cherry, cassis and blueberry scented bouquet interlaced by orange blossom and apricot. The oak is beautifully assimilated into the aromatic profile. The palate is full-bodied with a decadent entry. The tannins are ripe and rounded, imparting great tension and focus. There is both dimension and grace to this formidable Pingus that should blossom once it finishes its gestation. This is an outstanding Ribera del Duero wine. Drink 2020-2035+. You can pick up at any of our 4 locations. 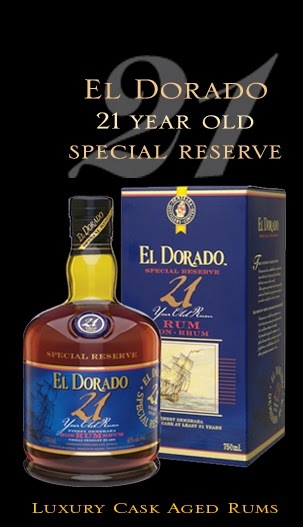 Rare 21 year old Rum! The superb colour and character of this exquisite rum is the creation of our Master Blender. His special recipe blends specially selected rums, oak aged for at least 21 years, from theEnmore wooden Coffey still, the Versailles single wooden pot still and the Albion Savalle still. Yes, all of these vintages are in our store now!!! We only have up to 24 - 6 bottle sets! Includes 1 bottle of each - all scoring 95 points or higher! We have been able to secure an amazing allocation of Library Releases of The Pahlmeyer Proprietary Red Wine direct from their cellars. This is a rare opportunity to purchase a spectacular vertical of one Napa Valley's greatest wines. Stored in perfect condition in the winery cellars! The 2005 Proprietary Red is significantly better than what I tasted last year, although I certainly gave it a high score. This wine has fleshed out beautifully. The final blend (84% Cabernet Sauvignon, 10% Merlot, and the rest Cabernet Franc, Petit Verdot, and Malbec) has a deep purple color, a beautifully sweet nose of blackberries and cassis intermixed with some meatiness, smoke, and a touch of pain grille as well as notes of espresso and licorice. Full-bodied, rich, with decent acidity, excellent delineation, and moderately high tannin, this is a beauty that should evolve for 25-30+ years It is no wimpish wine at 15.2% natural alcohol, but that is buried beneath a cascade of gorgeous fruit and glycerin. This wine should be cruising along brilliantly in 2030+. There are 7,000 cases of the prodigious 2006 Proprietary Red Wine (a blend of 80% Cabernet Sauvignon, 10% Merlot, and the rest Cabernet Franc, Petit Verdot, and Malbec). Most of the fruit comes from the Stagecoach Vineyard and the Waters Ranch. Sweet, smoky, meaty aromas interwoven with melted asphalt, camphor, blackberry, cassis, and charcoal scents emerge from the complex aromatics. 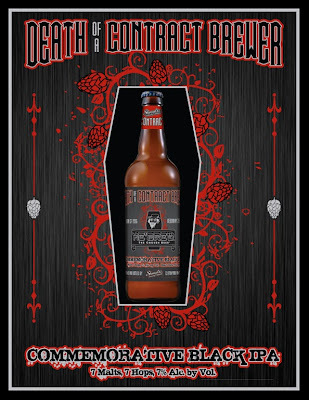 In the mouth, the wine is full-bodied, displaying sweet tannin, a concentrated mouthfeel, and a long, heady finish with substantial fruit, glycerin, and extract. It should drink beautifully for 20+ years. The sensational 2007 Proprietary Red Wine (a 7,000-case blend of 82% Cabernet Sauvignon and the rest Merlot, Cabernet Franc, Petit Verdot, and Malbec) is slightly more restrained aromatically than the Merlot, but there is no doubting its extraordinary bouquet of subtle smoked meats, oak, mountain wild flowers, blueberries, blackberries, coffee, and cassis. 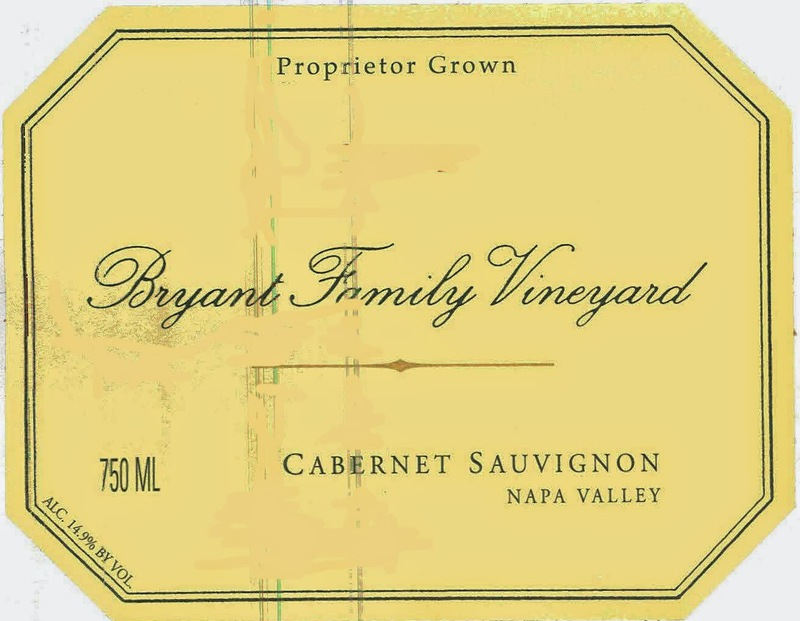 Super-rich and full-bodied with noticeable, but stunningly sweet tannins, it possesses a rare minerality and definition, characteristics that seem to be found across the board in Napa’s 2007s. This dense, powerful red needs 3-5 years of cellaring, and should have 25 years of life ahead of it. 2006 Vintage Chardonnay - a rare treat! These have been stored impeccably in the cellars of Pahlmeyer. Have you ever wondered what a perfectly stored, perfectly aged, stunning Chardonnay tastes like? Here is a rare chance as Pahlmeyer has done all the work for you. Just chill and serve! Ever since Demi Moore tried to seduce Michael Douglas in the blockbuster movie “Disclosure,” Pahlmeyer’s Chardonnay has been a hot ticket. What might get lost in the glare of Hollywood is that the wine is superb. The 2006 Chardonnay (3,000 cases) is just as good. 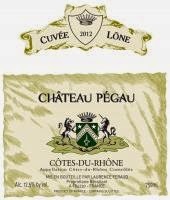 Slightly fuller-bodied, with zesty acidity and fabulous notes of brioche, quince, and again some leesiness, the wine has a nice greenish hue to the light gold color, subtle smoke, and a dense, rich mouthfeel." The 2006 Chardonnay Sonoma Coast, all made from old Wente clones, represents about 1,200 cases of sensational Burgundian style Chardonnay with leesy notes of brioche, nectarine, honeysuckle, orange rind, and some pear and pineapple. Beautiful fruit, full body, great acidity, and a textured mouthfeel make this a sensational Chardonnay." The name “Straffe Hendrik”(literally meaning: Strong Henry) refers back to the family history of the Halve Maan brewery in Bruge. The beer is named after members of the Maes brewing dynasty, whose sons for the past five generations have been called “Henri” or “Hendrik”: the French and Flemish variations of Henry. Even today, the beer is still brewed to the same original recipe in the same unique setting in the heart of medieval Bruges. The Halve Maan is the last brewery still operating in the old city centre. This Straffe Hendrik Heritage is a special version of the well- known Straffe Hendrik Quadruple. 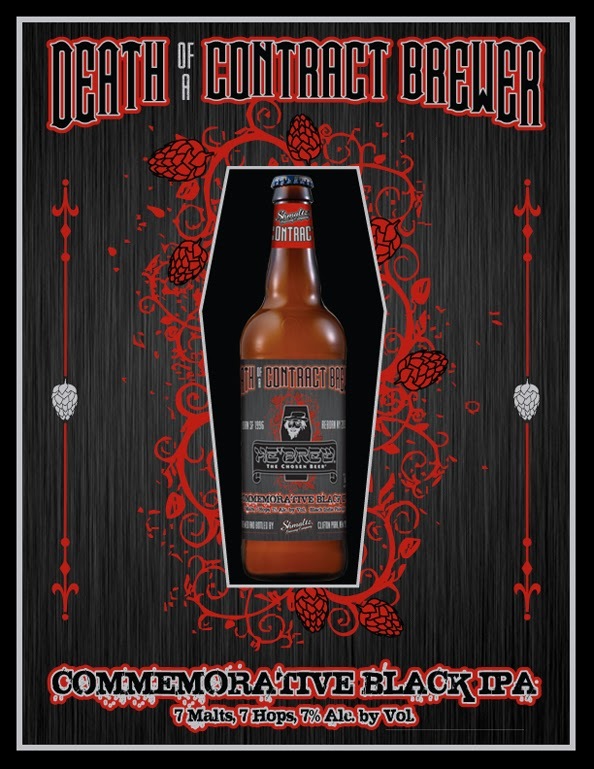 The dark and heavy beer is allowed to mature for more than a year in oak casks in the bre- wery’s cellars, which date back to the Middle Ages. This gives the beer a more complex taste. The tannins form a harmonious unity with the rich flavours of the special malts. Straffe Hendrik Heritage is a beer that can be kept for several years, during which time the taste will further evolve in the bottle. As it gets older, a hint of port or Madeira wine will become more evident. It’s Memorial day weekend, so after you have made Lemony Orzo Pasta Salad with White Cucumber and Feta, prepped the corn, chilled your cans of beer and mixed the Margheritas it’s time to decide how to top your burger. Here are a couple of our favorites burger toppings. The Original: Grilled Onions, Black Diamond Spreadable Cheddar, Stonewall Country Ketchup, Lettuce and Tomato. The Flying Dutchman: Smoked Gouda, Leyden, Lettuce and Tomato. The Hangover: Fried Dry Dock Farms Egg, Brooklyn Brine Damn Spicy Pickle, Tillamook Cheddar, and a Bloody Mary on the side. The English Gentleman: Harlech Cheese (an English Cheddar with horseradish and parsley), Jones Farm Bacon and tomato. My Big Fat Greek Burger: Chopped Kalamata Olives, Feta Cheese, Pepperoncini, lettuce and tomato. Have a fun safe Memorial Day weekend. Another case just arrived yesterday! 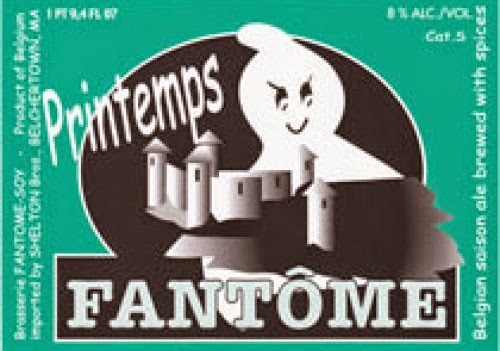 Fantôme’s winter offering, available December through March or so. Brewer Dany Prignon changes his receipes every year, so we can’t so for sure what this year’s beer will be like, but it is sure to please lovers of Dany’s beers. “Maclura” is a type of Osage Orange tree (also known by the name Hedge Apple). There are many of these trees on the Chateau grounds, inspiring the name of this cuvée. Tasting Notes: Intense aromas of cassis, blackberry, and spice, with soft, ripe, tannins on the palate and a lingering finish. Enjoy this versatile, food-friendly wine on its own, with red meats (grilled, roasted, charcuterie), or with hearty vegetarian fare. “Setier” was an ancient measure used for both grain and wine, in this case, the term specifically refers to a stone vessel that held 66 liters of wine. Tasting Notes: Offers a concentrated nose of cassis, licorice, black cherry and tar, with ripe, well-structured tannins, intense fruit, and a long, lingering finish. A food-friendly wine that is especially good with bold, flavorful red meat preparations such as pepper-rubbed steak and lamb tagine. 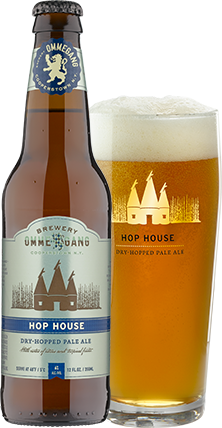 Hop House pays homage to the historic hop farm that stood on the brewery grounds over 100 years ago. Hop House combines the delicious aromas and flavors of a Belgian-style ale with generous hopping, including dry-hopping. A well-balanced, yet ample, hop character defines this fine pale ale, bringing Belgian-style beer lovers and hop-heads together to enjoy our Belgian-American love child. Taste from the Gold bottle of Ardbeg! As one of the best Ardbeg accounts in the country, we are excited to receive 1 of only 50 bottles of the GOLD bottle! Friday at Forsyth starting at 4pm until the bottle is gone. Skilful newcomer Ardbeg Auriverdes is the newest talent to emerge from premier distillery Ardbeg. Distilled with equal measures of both skill and passion, all eyes will be on Ardbeg Auriverdes – named after its golden whisky (auri), and unmistakable green bottle (verde) – when it makes its debut on Ardbeg Day on June 1. 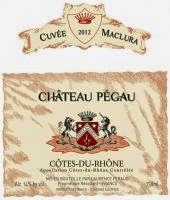 First of its kind to incorporate all four grape varieties that seriously come into question for this cuvee – in order of prominence here: Grenache, Carignan, Syrah and Mourvedre – the 2011 Le Cirque red delivers a slightly reduced aromatic display suggesting red and black raspberries with a smoky, sweaty, sage-scented overtone. The reduction here happily translates into positive tension and invigoration on a sappy palate, tart-edged in its berry-concentration and pungently herb-tinged, leading to a mouthwateringly salt-tinged, gripping and stimulating if faintly rustic finish. I suspect – though it is only a suspicion (and who is likely to test this?) – that this excellent value will please through at least 2015. 35% Grenache Noir, 35% Syrah, 30% Mourvèdre. The 2012 Scored 90 points from the Wine Advocate, this one is sure to do the same or more. The 2013 is fantastic. 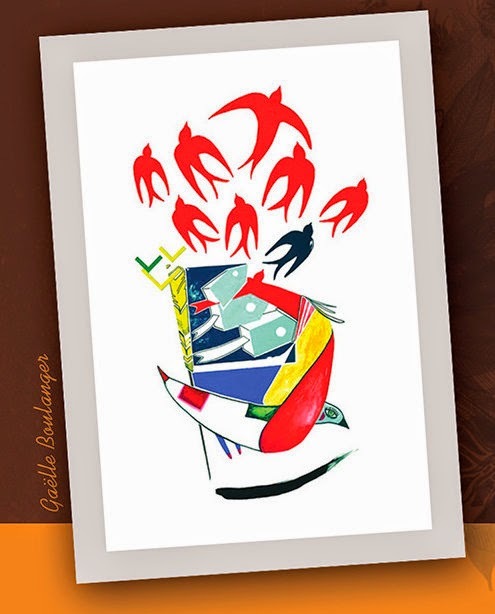 Le Cirque isa ptly named after the vast, amphitheatre-shaped bowl of vineyards stretching north towards Vingrau, the wines represent phenomenal values, and perfectly reflect the rugged, wind-swept terroir in which they are grown. Tasting Notes: Intensely colored, with great freshness and spicy strawberry, watermelon and sage aromas. Bone dry. Excellent on its own, or paired with charcuterie, seafood, and fruit-based desserts.